There are a variety of reasons to visit and be treated by a chiropractor. 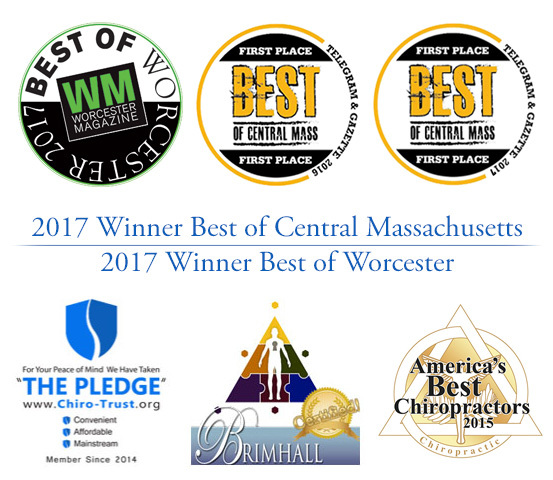 Most commonly, visits to the chiropractor are due to pain in the bones and joints of the extremities, problems with the spinal column, and treatment for whiplash-related injuries after an accident. What makes a chiropractors techniques more effective than, say, Yoga or self-stretching? It is in the structure and knowledge of how the musculoskeletal and nervous systems is set up and how they communicate, especially with regard to the spine and all of its nerves and canals. There are six commonly used structural techniques used by chiropractors for a variety of conditions. They are manual skilled maneuvers that help with manipulation and mobilization of structures and fluids to treat tissue disorders, reduce pain and swelling, and increase range of motion that is often lost with bony and joint conditions. This is the most common technique used for adjustment, and is done by using careful positioning of the patient while the chiropractor uses quick thrusts in several small, successive areas in order to align the spinal column, improve joint dysfunction and restore more comfortable and proper movement. In this technique, a device called a mallet is used to push and set joints into their correct positions. This is usually done for vertebral and pelvic misalignments, which are seen in uneven leg lengths when the patient is lying flat on their back. This is another adjustment technique used to set joints back in their rightful position so the body and extremities can move more comfortably. A drop table is used to help target specific joints and motions while the chiropractor uses gentle thrusts to the targeted joints. This technique is used for sacroiliac (SI) joint dysfunction or dislocation and is often used in pregnancy and delivery when the baby is in the wrong position (breech/feet first). It is a very gentle adjustment to restore pelvic balance and function, and turn the baby around if it is a case of breech position. With this technique, a highly specialized hand-held tool is used by the chiropractor to unwind and release tensed muscles and fascia (the tissue enclosing the muscle). This tool uses a series of frictions and vibrations to detect and treat areas where there is scar tissue or adhesions that are impairing functioning and mobility. Like the Percussor, this is a hand-held instrument used to release tensed muscles. The technique used will depend on the problem area, the chiropractors comfort using the techniques, and the overall severity of the condition. In any case, these techniques generally have better results than self-stretching or self-treatment because they are targeted and specialized to deal with the complexity of the entire musculoskeletal and nervous systems.